A recent paper by Kasper Hanus and Damien Evans is featured by the Khmer Times – a discussion about population estimates of Angkor through measurements of the ponds in Angkor, a metric made easier to count due to their detection by LiDAR. The secret to the number of people who actually lived in the city center of Angkor Thom may lie not in the number of buildings but in the number and size of its ponds, according to a new archaeological study released last week. Until now, most research about the Angkor city center has focused on the grand temples, while the mundane details of everyday life – such as where the city’s residents got their water – have been ignored. This new study, published last week in Archaeological Prospection, finds secrets in these mundane details. Since ponds were used as the water supply by the city’s residents, the team of researchers – led by Kasper Hanus of Adam Mickiewicz University in Poland and Damian Evans of the University of Sydney – hypothesized that the number of ponds could provide a clue to the number of residents. 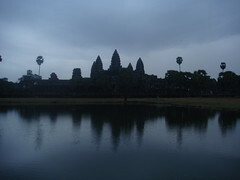 “Small-scale ponds were a vital part of the water management system of Angkor,” the study said. Counting the number of ponds that existed in the 14th century can be a difficult task, but using detailed maps created with airborne laser scanning, and making clever use of a depth mapping algorithm, the archaeological team was able to estimate the number of ponds in the area. Crash Course World History is an educational web series that I quite enjoy, and this latest episode from their second season talks about how the control of management of water has been an important innovation for human civilisation. 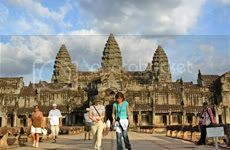 To this end, the episode discusses the Mayan and Khmer (Angkor) cultures. The excess tapping of groundwater in the area of Siem Reap might lead to a situation where Angkor might stand on quicksand.